Participants of Ireland’s first electric car trial are plugging in and charging up at home as ESB domestic charge points are rolled out nationwide. Conor Faughnan, AA Ireland is taking part in the study and is currently testing the Mitsuibishi iMiEV electric car, as well as a domestic charge point which was installed in his home last week. “I’m using the Mistubishi iMiev at the moment, and I have to say I’m really enjoying it. It’s actually great fun to drive, it works really well and it certainly turns heads on the streets of Dublin. The two year trial conducted by Trinity College Dublin on behalf of ESB is supporting the planning/implementation of the charging infrastructure in Ireland as well as analysing customer behaviour and attitudes. Domestic charge points have been installed in homes in Dublin, Cork, Limerick, Galway, Ennis and Sligo. Charging at home with the ESB domestic charge point is estimated to take between 5 to 8 hours for a full charge, depending on the car battery size. Ideally this should take place overnight when the electricity generation mix consists of a larger proportion of renewable sources such as wind. Electricity customers can avail of cheaper night time electricity by opting for the ‘nightsaver’ tariff. ESB has committed to installing 3,500 charge points and 30 fast charging units on a nationwide basis throughout Ireland by the end of 2011. 2,000 of these are domestic charge points which will be provided and installed free of charge by ESB to the first 2,000 buyers of new electric cars. For the first two years all ecar users will be covered for emergency roadside assist from AA Ireland. AA is investing in new technologies and training and has the resources in place to handle cover for electric cars nationwide. The charging infrastructure is being implemented ahead of the launch of several electric cars led by Nissan’s Leaf and Renault’s Fluence, which will offer drivers a wide variety of choice in terms of styles and models. 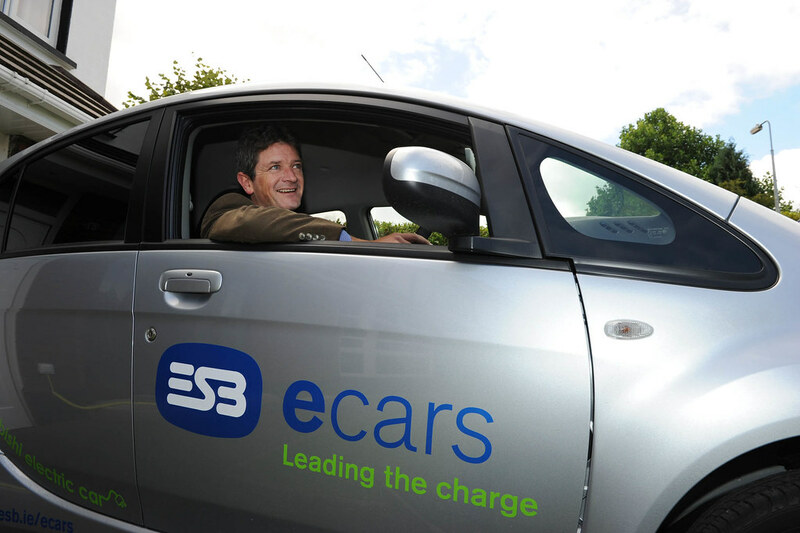 The two year project, which commenced in May 2010 will provide ESB with an in-depth knowledge of the charging infrastructure and characteristics of ecar users. The ecar trial is the latest in a series of measures designed to bolster adoption of electric cars in Ireland and promote them in light of the recently announced Government incentives. The Government has set a target of 10% for all vehicles on Irish roads to be electric by 2020. A “Smart Home Charging” system is being trialled which will allow the cars maximise the amount of energy they get from renewable sources, while also facilitating the operation of the electricity system. Electric Vehicles – should I buy one?